Waltham Butternut Winter Squash | Henry Field's Seed & Nursery Co.
Cooks up sweet and tender! Smooth 9- to 10-in. fruits filled with orange flesh. Huge yields. 95 DAYS. Seed Counts: 1/2 oz. 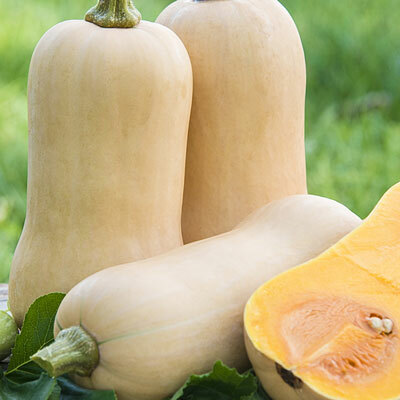 of winter squash seeds contains about 125 seeds and sows a 100-ft. row. Spacing: 2 plants per hill. 8 - 10 feet between hills. Days To Maturity: 95 days. Seed Count: Approximately 25 seeds per packet, 1/2 oz. is approximately 125 seeds, 2 oz. is approximately 500 seeds. Size: 9 - 10 inches, 3 - 4 lb. fruits.